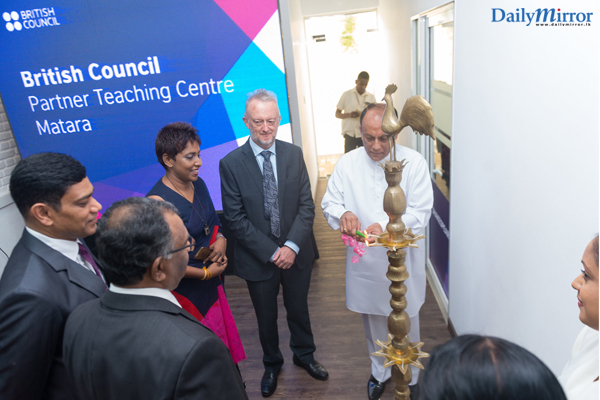 The British Council in Sri Lanka expanded its Partner Teaching Centre in Matara recently. The institution is partnering with the Apex Business Academy in order to offer a range of teaching services that will facilitate students to discover the English language in new and diverse ways. The launch event was attended by Hon. 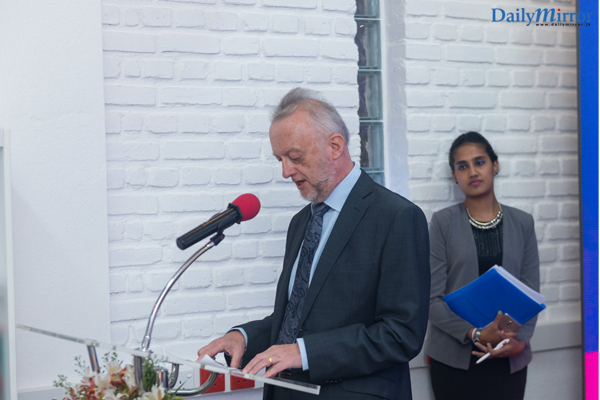 Lakshman Yapa Abeywardena, State Minister of Public Enterprise Development and Keith Davies, Country Director British Council. The Vice Chancellor University of Ruhuna, Professor Gamini Senanayake, the principals of Rahula Vidyalaya, Sujatha Vidyalaya, St. Mary’s College Matara, S. Thomas’ College Matara, and Mahinda Rajapakse College were also in attendance. The British Council is renowned for its English language teaching programmes across the world and in Sri Lanka. The institution works primarily in the areas of arts, education and society, making notable strides over the years with programmes designed to make learning fun and intellectually stimulating. The British Council’s language programme is its flagship initiative; a wide range of courses to meet the needs of every type of learner-young and old-means that many Sri Lankans have mastered the basics and the many idiosyncrasies of the English language within the British Council’s learning spaces. The newly refurbished venue at No. 104/1B, Rahula Road, Matara is inclusive of the newest classroom facilities, a fully equipped mini British Council Library, computer lab, café, and a waiting area. The courses are designed using the latest interactive and communicative teaching methods with carefully planned lessons to improve confidence and ability. Students’ progress is regularly assessed in all areas of spoken and written English based on classroom activities and take home assignments. With this reopening the Apex Business Academy reaffirms its partnership with the British Council. In line with the launch, an acquaintance programme was held for parents and students on 23 July. During this programme they were comprehensively briefed on courses offered by the British Council, and offered a platform to identify which course best suited their needs. 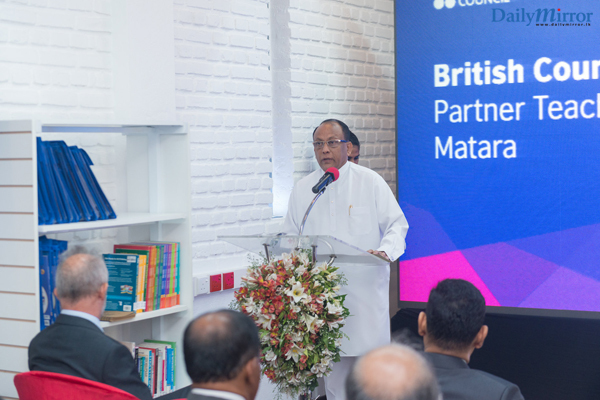 “We are delighted to strengthen our partnership with the British Council in this venture. We believe that by bringing the world’s leading English experts to the South, we are enabling students to have access to quality English education which will help them in all aspects of their life,” stated Deshani Gamage, Managing Director, Apex Business Academy. Registration for the new term in Matara is now open. Contact the centre on 0711993751 for more details.